We can’t switch the direction where to go from the door or invert dungeons. However we’re working on something better by far: random traps. It will add a lot of diversity in the dungeon design and will allow high skilled players to get maximum benefits from their talent leaving all others who got used to call themselves pro behind. 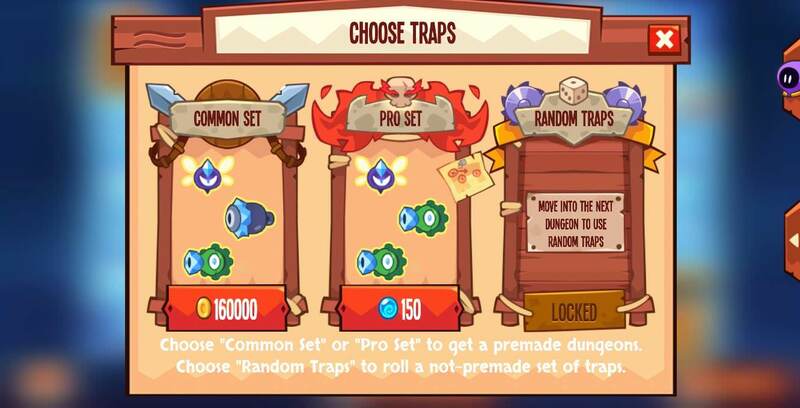 Yesterday we told you about Random Traps feature and we got a lot of questions. Many of them were about the price. So we think that we have to spill some light on this aspect. Random Traps will be available for emeralds, not for orbs. After getting Random Trap set, you'll be able to hold one or two traps and reroll the rest for orbs. Edited by DanFariasM, 18 January 2018 - 02:21 PM.